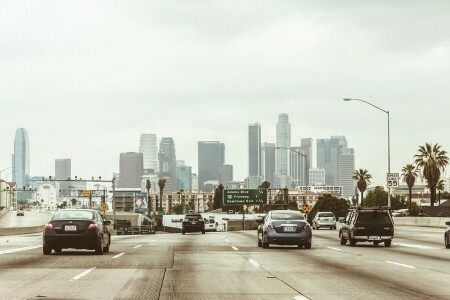 The EPA announced that it has finalised the required renewable fuel volumes under the Renewable Fuel Standard (RFS) for 2019, as well as biomass-based diesel for 2020. “Issuing the annual renewable volume obligations rule on time is extremely important to all stakeholders impacted by the Renewable Fuel Standard program,” said EPA acting administrator Andrew Wheeler. ‘Conventional’ renewable fuel volumes, primarily met by corn ethanol, will be maintained at the original 15-billion-gallon target set by Congress for 2019. Advanced biofuel volumes for 2019 will be increased by 630 million gallons over the 2018 standard. Cellulosic biofuel volumes will also be increased for 2019 by almost 130 million gallons over the 2018 standard. Biomass-based diesel volumes for 2020 will increase by 330 million gallons over the standard for 2019. Once the volumes had been published, various members of the biofuels industry responded. The National Biodiesel Board’s CEO Donnell Rehagen criticised the underwhelming standards for biodiesel, claiming that the EPA selected the volumes knowing that the annual volume of biodiesel exceeded it. “EPA recognizes that the biodiesel and renewable diesel industry is producing fuel well above the annual volumes. The industry regularly fills 90 percent of the annual advanced biofuel requirement,” said Rehagen. Ethanol trade association Growth Energy noted the positive commitment to ethanol, though still posted a reminder of the ongoing dispute between the industry and the EPA over small refinery waivers. “We are pleased to see the 2019 RVO numbers released on time and that they hold strong promise, with a 15 billion gallon commitment to starch ethanol and 418 million gallons of cellulosic biofuels,” said Growth Energy CEO Emily Skor. Major renewable diesel producer Neste reacted positively to the standards, as its product, Neste MY Renewable Diesel, meets the requirements as an advanced biomass-based biofuel. “We appreciate the EPA's continued commitment to advanced biofuels. Neste MY Renewable Diesel is an ideal low-carbon fuel to meet the US renewable fuel standards, as it is fully compatible with existing fuel distribution systems”, says Kaisa Hietala, executive Vice-president of Neste's Renewable Products business area.